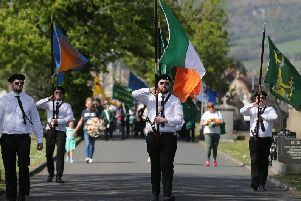 Robin Bury argues that the Irish state is anti-British (‘Nationalism and sport is interwoven everywhere and the foundation stone of the Irish nation is Anglophobia,’ February 4), but in actual fact, I would imagine that Mr Bury’s real problem with the Irish state is that it is not British enough! When the Irish Free State was formed in 1922, it is not as if everything British that existed before it was immediately abolished. In fact, what really happened was that the British state that existed in Ireland continued in existence albeit with Irish ministers in control of it, an Irish flag in place of the British flag, and the Royal Mail post boxes were painted green. A quick search of the Irish Statute Book http://www.irishstatutebook.ie/ shows that many of the laws and statutes in Ireland date back as far as 1066. This is an odd date for Irish law as the Anglo-Normans only arrived in Ireland in 1169. Somehow independent Ireland is still governed by ancient English laws. More British continuity can be seen in the Oireachtas, the Irish parliament, which is modelled on the Westminister parliament. The Irish legal system is common law. It never changed after 1922. The judicial system is based on the British court system with judges and barristers operating more or less in same manner as their British counterparts. The government structures eg. local councils and government agencies, continued without break after 1922. The English language is by far the dominant language in Ireland and as Mr Bury pointed out, Ireland has a common travel area with the UK that means the citizens of both states can move to the other and live, study, work, vote as if they were nationals. British tourists feel that Ireland is so anglicized that they don’t feel like they are abroad and therefore they don’t need to return! The things that really annoy Mr Bury are not the lack of British elements of the Irish state but the small number of things that are not British, such as the Irish language. Mr Bury is correct about the inappropriateness of RTÉ playing the Angelus. It is unfair and should be ended as soon as possible. That said, the Angelus has nothing to do with Anglophobia. It is neither Irish nor British; it is a Catholic call to prayer. It needs to end in order to reflect the diversity of Ireland and the lack of religious practice amongst probably the majority of people in Ireland. Lastly, it is difficult to imagine that British rule in Ireland did not cause dislike or distrust of England and that this is what caused many people to seek Irish freedom. The earliest Irish immigrants to America were the Presbyterians who despised Britain so much that when the American colonies chose to make themselves independent from Britain, those Scotch-Irish settlers were the most anti-British of the American armies. No doubt Anglophobia will die out with time like it did amongst the Scotch-Irish but Mr Bury should not be so naive to think that British rule was always benign and Irish people were unwarranted in opposing Britain. A little over a thousand years ago Danish and Norwegian Vikings were horrendously violent during their initial forays into Ireland. There is no anti-Danish sentiment in Ireland any more. Anglophobia too will also disappear.